Supported Will-Making Report Now Published! The Everyday Decisions research project team have been working on a follow up study exploring how disabled people with impairments that affect their mental capacity could be better supported to make a will. The findings from this follow-up research are now available on our research findings page. In the original Everyday Decisions project, we found that disabled people often didn’t receive the support they needed to make more complicated decisions in life, like legal, financial and medical decisions. The supported will-making follow-up study involved extra interviews with disabled people about their experiences of, and views about, making a will. 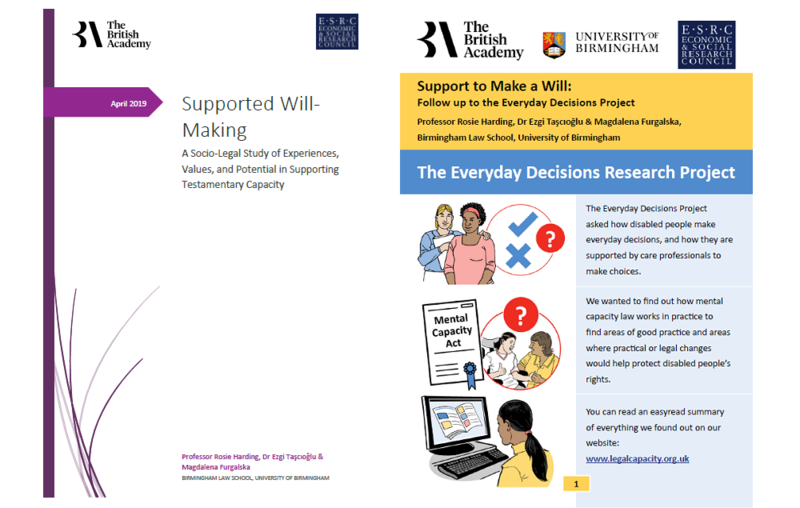 We analysed all of the interviews with care and support professionals, participants in the original Everyday Decisions research, and participants in the follow-up study to understand how people are currently supported to make a will, what barriers and problems people experience, and how people could be better supported to make a will. We found that there is a gap in access to legal services to support will-making by people with intellectual disabilities (we use this as a wide term to cover a range of impairments that affect mental capacity, including learning disability, autism spectrum conditions, acquired brain injury and neurodegenerative diseases like dementia). People who have impaired capacity and need extra support to make decisions are often not able to access the help they need to make a will. This means that people of modest means might not be able to express their testamentary wishes. Whilst it can be difficult to think and talk about death and dying, a will can be an important and useful mechanism to ensure that people’s assets and belongings are passed on in accordance with their wishes. In the report, we look at different ways that intellectually disabled people could be supported to make a will, and the different kinds of safeguards that would be required depending on the policy choices made. We carried out this research to help inform the review of the law of wills being carried out by the Law Commission of England and Wales. We explored the possibility of a number of policy choices, including: training, revision of the Mental Capacity Act 2005 Code of Practice, the introduction of an Accessible Information Standard for legal services, a bespoke scheme for supporting will-making, and a formal nominated supporter scheme. Whilst we consider that training and revision of the MCA Code of Practice would be beneficial minimum reforms, it is clear from our research that these are unlikely to ensure that disabled people would have access to the support they need to make a will. In our research, we found that disabled people do not find it easy to access legal advice and information. We think that an Accessible Information Standard for legal services would help to disabled people to get legal advice and information, and the help needed to make a will. In the report, we consider options for a special scheme for supported will making. 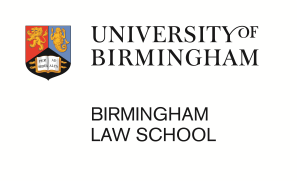 Overall, we consider that a bespoke scheme for supporting will-making would not be the best approach to take because it would place the main financial burdens onto the disabled person, rather than spreading the costs of accessibility, and the safeguards that would be needed would create additional barriers to disabled people making a will. We recommend that the best way to support people to make a will would be to create a formal nominated supporter scheme in conjunction with safeguards through a new presumption of testamentary undue influence. This would mean that disabled people could access legal services like will-making without additional expense and barriers. A formal nominated supporter scheme would also help disabled people to access the support they need in other areas of life, helping to bring English law closer to compliance with the UN Convention on the Rights of Persons with Disabilities. Full details of our findings, and our recommendations are available in the full report.